Are you ready to take SuperHost to the next level? Destination Ambassador, the second course in go2HR’s SuperHost suite, expands on the skills learned in Foundations of Service Quality and empowers participants to contribute to a positive visitor experience of a community. This interactive half-day classroom course is delivered in partnership with local visitor centres, chambers of commerce, and regional tourism associations. Destination Ambassador is a great choice for anyone who works in tourism; it’s especially helpful for people, such as downtown ambassadors and festival volunteers, who interact with a wide variety of travellers. Destination Ambassador gives participants the tools they need to create memorable visitor experiences and showcase all that their community has to offer. Topics include the importance of tourism to the local economy, global trends affecting tourism, and the reasons people choose to vacation where they do. Participants become experts on the sights, activities, and events that make their destination unique, as well as where to access local information and how to provide helpful service to visitors. 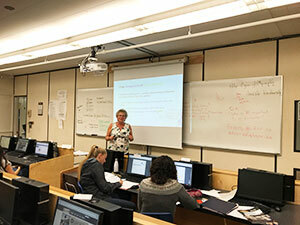 “We added this course to help front-line staff raise the overall customer service levels in their communities and to support local companies in increasing their business success,” says Andrea Hinck, go2HR’s Manager, Industry Training. After a successful pilot at the Nelson Visitor Information Centre in July, the first group to complete the course was a team of volunteers for the 2018 Salute to the Sockeye Festival in the Shuswap. The volunteers, all high school students, handle everything from parking and souvenir sales to admissions and interpretive tours for the estimated 200,000 visitors at the three week-long event. Darlene Koss, a Certified SuperHost Instructor at The Adams River Salmon Society, facilitated the course ahead of the festival in September. “We wanted to make sure our volunteers knew how to represent the community, how to communicate with a range of different local and international visitors, how to identify different types of travellers so they can make the right suggestions, and how to find the information visitors need. 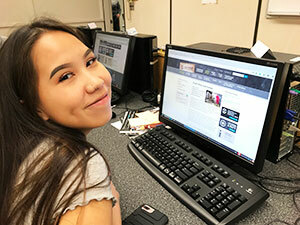 In our case, about three quarters of students were Indigenous, so we were able to incorporate local First Nations culture into the course too,” she says. The biggest surprise? “The students were excited by how much they already knew about the area; I was impressed by how much their communication skills improved during the course,” adds Koss. The students gained transferable job skills, while The Adams River Salmon Society benefits both in terms of hosting a successful festival and attracting volunteers. “In the future, I’d like to train more people to be Destination Ambassadors; it’s a great way to showcase what the community has to offer,” says Koss. Visit the Destination Ambassador page to learn more.